CentreStack is an enterprise file synchronization and sharing (EFSS) offering that enables productivity and collaboration for mobile workers who use multiple devices, such as smartphones and media tablets, in addition to PCs. Organizations must deploy EFSS services to secure enterprise information assets or face information leakage threats caused by users who move data through uncontrolled personal cloud services. 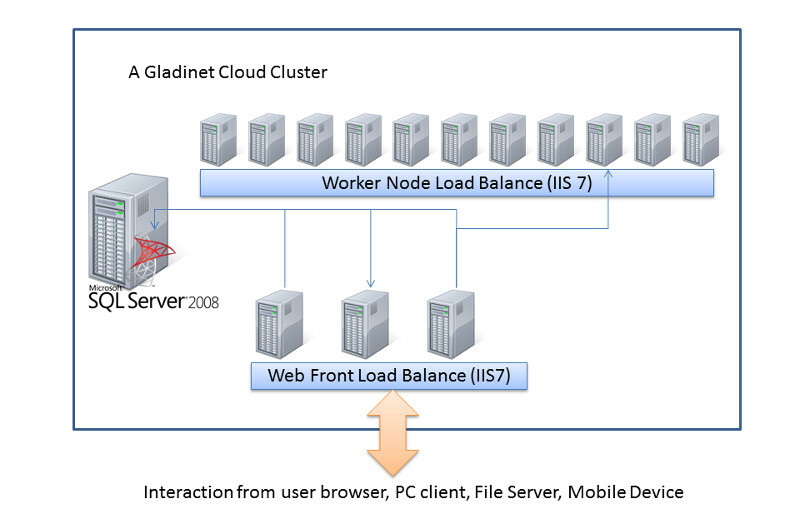 Click on the diagram below for a demo video of Gladinet EFSS deployed with HP CloudSystem. Deep Active Directory integration. Get started with your existing users in no time. Migrate existing file shares and permissions to the cloud. HP CloudSystem is the industry's first complete, integrated and open platform for building and managing clouds. 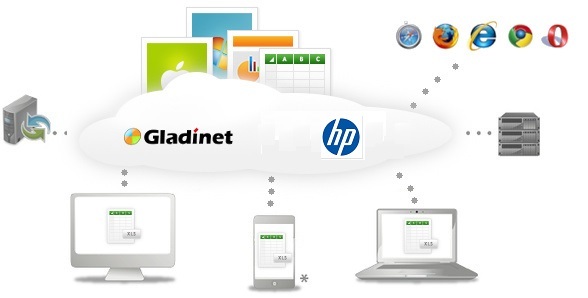 Gladinet's integration with HP CloudSystem creates a scalable, robust platform for enterprises and service providers that need to provide a secure Dropbox alternative to their employees or customers. The Gladinet EFSS solution can be deployed on HP CloudSystem using OpenStack or raw storage from the underlying hardware. It can also leverage public cloud storage from HP Cloud. Gladinet EFSS is based on a 3-tiered architecture of storage, clients, and access infrastructure. The access infrastructure is essentially a group of web services called a Gladinet Cloud Cluster that is delivered as an installable package which can be deployed with HP CloudSystem. After installing the package, the system is configured with the storage service of choice (local, private, or public) and a pointer to the LDAP endpoint which will be used for Active Directory integration. Click the diagram below for more information about the CentreStack Architecture. In the diagram below, the GCE Server farm has been deployed using service templates from HP CloudSystem Matrix. Click on the diagram to watch the live demo. CentreStack integrates with Active Directory and your private HP CloudSystem infrastructure to create a secure, self-hosted dropbox alternative. Try it now to regain control.